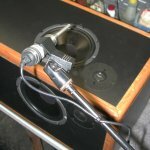 The EPI 202 and EPI 250 speakers are an interesting application of the eight inch two-"module" speaker. In a sense it is a more user-friendly version of the massive EPI 1000 tower. 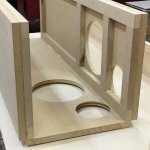 By using an eight inch woofer and 1" concave dome tweeter on two adjacent sides of each box, it gains tremendously in dispersion and ease of placement. The "active" faces can be set up to fire forward and inward, forward and outward, at 45 degrees forward... or any combination you find works well with your listening room. In order to increase power handling and bass response, many companies will design complex systems that often fail to deliver the qualities they obtain with their basic models. The 202 is a different approach. By using two identical sets of drivers, power handling is doubled, dispersion is improved, and yet the sound quality of the elegant simple eight inch two way is retained. 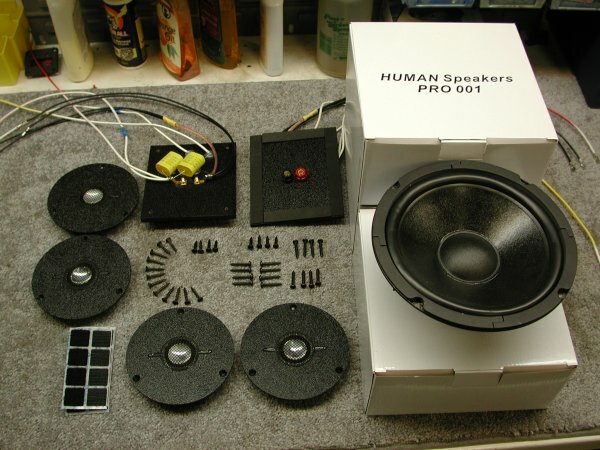 You can also take advantage of this woofer's bass response potential by increasing the per-woofer volume, from just over 1 to as much as 2.5 cubic feet (I would). The EPI 201 and Epicure 20+ also use the same double module set of parts, but are built with one pair of drivers on the front and one on an angled top panel. The EPI 180 puts all four drivers on the front of the cabinet. The crossover is still just a simple pair of capacitors in series with each tweeter (I use a high quality film type capacitor with a high voltage rating). Stock bracing: none. I recommend using at least one "shelf brace" right at the point between the woofer and tweeter cutouts. Driver position: The originals had the woofer below the tweeter on one side and above it on the other. 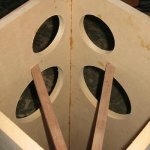 I would recommend putting the woofer below on both sides off center by about an inch, with the tweeters above them and off set even further, making the two tweeters both close to the common corner. Note that this kit can also be bought in a configuration to completely rebuild original 201, 202, or 250 cabinets. This version, the K-202E, uses the 5" diameter PRO 002 ME1 tweeters, and the ACC 004 C backplate/crossover/wiring assembly so everything will fit your speakers. Originally the 202 and 250 were built with grilles made of masonite sheets covered with cloth, that went from the base to the top and side to side, with only a dressy trim piece of 1" walnut showing at the vertical corner between them. 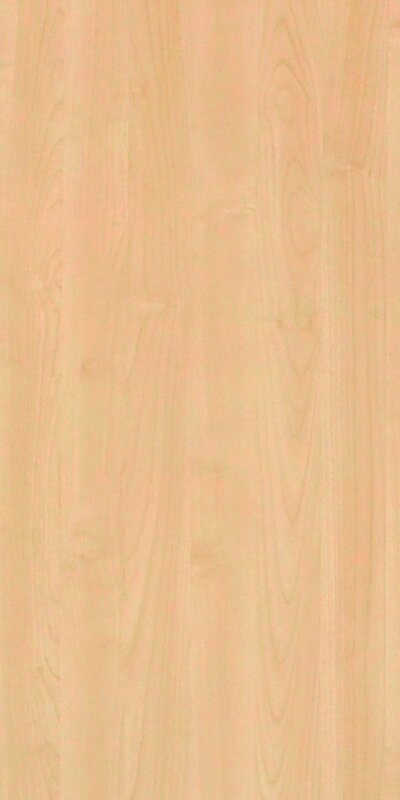 The sides without drivers were sheer walnut veneer. This kit is also available as a retrofit for the EPI 180, 201, 202, or 250, and the Epicure 20+. In this guise the tweeters are the 5" diameter PRO 002 ME1 to fit the cabinets, and the backplate/crossover/wiring assembly is the ACC 004 C, designed to replace the old parts by screwing in from the inside of the rear of the cabinet. Also included is enough Velcro to reattach the grills.